In this lesson, you will learn how to add Markdown documentation to Jupyter Notebook files (.ipynb). Be sure that you have completed the lessons on The Jupyter Notebook Interface. You also learned how to add new Markdown cells to your Jupyter Notebook using Menu tools and Keyboard Shortcuts to create new cells. You also learned how to change the default type of the cell by clicking in the cell and selecting a new cell type (e.g. Markdown) in the cell type menu in the toolbar. These titles are already present on this page as Markdown (e.g. Markdown Styling above is a subtitle). In a Jupyter Notebook file, you can double-click in any Markdown cell to see the syntax, and then run the cell again to see the Markdown formatting. Notice that you have space between the * or 1. and the text. The space triggers the action to create the list using Markdown. 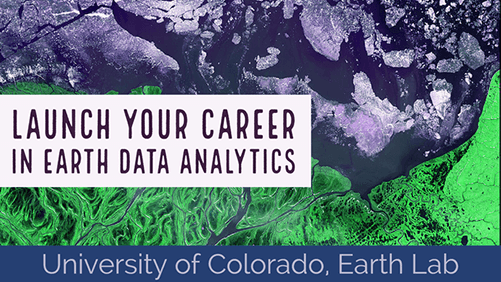 The course website can be found at <a href="http://earthdatascience.org/courses/earth-analytics-bootcamp/" target="_blank">this link</a>. The course website can be found at this link. <figcaption> You can use Markdown to add images to Jupyter Notebook files, such as this image of the Markdown logo. Source: Full Stack Python. This is the Markdown logo. Source: Full Stack Python. From your ea-bootcamp-hw-1-yourusername directory, open the Jupyter Notebook file for Homework 1 (ea-bootcamp-hw-1.ipynb). Notice that there are existing cells in this notebook. From your markdown directory created in the previous lesson, open the Jupyter Notebook file you created (e.g. jpalomino-markdown.ipynb).